This book advances a novel interpretation of EU governance. Its central claim is that the EU's regulatory successes within--and increasingly beyond--its borders rest on the emergence of a recursive process of framework rule making and revision by European and national actors across a wide range of policy domains. In this architecture, framework goals and measures for gauging their achievement are established by joint action of the Member States and EU institutions. Lower-level units are given the freedom to advance these ends as they see fit. But in return for this autonomy, they must report regularly on their performance and participate in a peer review in which their results are compared with those of others pursuing different means to the same general ends. The framework goals, performance measures, and decision-making procedures are themselves periodically revised by the actors, including new participants whose views come to be seen as indispensable to full and fair deliberation. 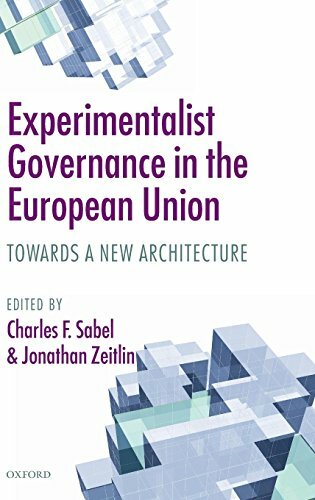 The editors' introduction sets out the core features of this experimentalist architecture and contrasts it to conventional interpretations of EU governance, especially the principal-agent conceptions underpinning many contemporary theories of democratic sovereignty and effective, legitimate law making. Subsequent chapters by an interdisciplinary group of European and North American scholars explore the architecture's applicability across a series of key policy domains, including data privacy, financial market regulation, energy, competition, food safety, GMOs, environmental protection, anti-discrimination, fundamental rights, justice and home affairs, and external relations. Their authoritative studies show both how recent developments often take an experimentalist turn but also admit of multiple, contrasting interpretations or leave open the possibility of reversion to more familiar types of governance. The results will be indispensable for all those concerned with the nature of the EU and its contribution to contemporary governance beyond the nation-state.